What you will be taught in a professional photography training institute really depends on course you choose to pursue and the duration it is meant for. In general, most photography courses go more into the depth of photography, the longer they are. So, we will discuss a few things that can be expected from enrolling yourself into a photography course, which lasts for about a year. What paint and paint brushes are to painters, cameras and lenses are to photographers if not more. You cannot expect to excel in the field without knowing your equipment inside out. The market in today’s day and age is flooded with a plethora of cameras and each type works differently. 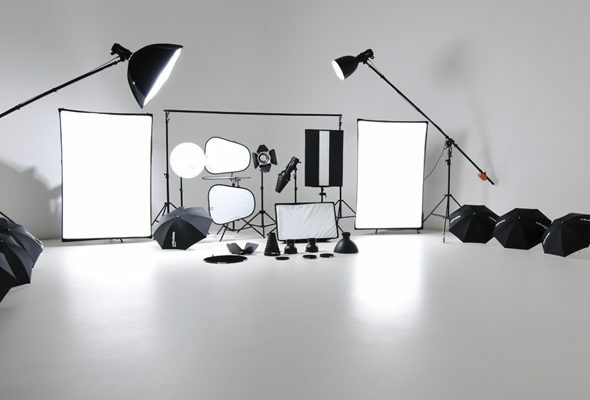 And, not a single camera or lens or studio light or reflector comes cheap. When you enrol into a photography school, you get the opportunity to have a first-hand experience with a variety of the equipment that is almost impossible for a beginner to invest in if you learn photography on your own. Once you know these equipment well you can wisely invest in the ones that cater to your style of photography and its needs. Photography is an art form, and like any other art form, it does not put you within constraints of hard rules that you absolutely cannot break. However, there are some guidelines that have established themselves as “rules of photography” after years of trial and error. They have been proven to make photographs aesthetically pleasing by playing with light, shadow and the human perspective. However, you can often bend or tweak these rules once you have mastered the art to create a rare individuality in your captures. Some of the common rules involve the rule of thirds, symmetry, leading lines, viewpoint, depth, balancing elements and many more. Editing your photographs is not what your basic smart phone apps do. Editing your photograph in a professional scenario takes skills that take a lot of time and dedication to learn and excel. If you plan to learn them without enrolling yourself into a professional photography institute, then you will probably have to shell some good money to take up a course in Photoshop. However, photography schools teach you to enhance your photos and bring out the best in them by keeping a professional photographer’s perspective in mind. They teach it to you in a way that you can edit your photographs so well that they can grace the walls of and exhibit. This will definitely not happen if you choose to learn from people with little or no experience of photography. If you want a lucrative job in the highly competitive field like that of photography, you will need a lot more talent and creativity. In photography school, you will be given feedback on your work regularly by industry stalwarts. They will also teach you ways to approach placement interviews effectively which is a game changer when it comes to kick starting a successful career in photography. This was just the tip of the ice berg we touched. You will be completely surprised by the number of things you will learn if you check the syllabus of photography courses from a reputed photography institute like Pixel. → How to Choose the Right Photography Institute?